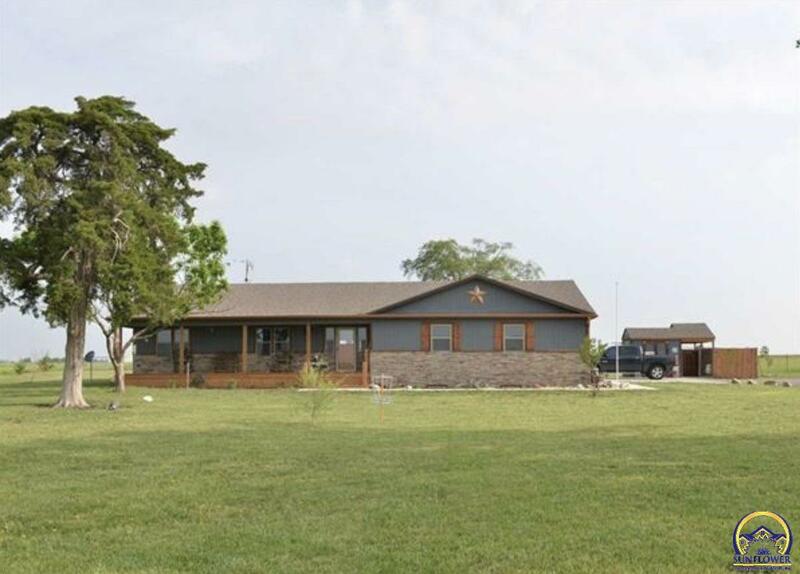 Best of both worlds in this beautiful country home right outside the city limits! Built in 2015 this home features an open floor plan, custom cabinets, concrete countertops, hardwood floors, vaulted ceilings with wood beams, large master suite and main floor laundry. Enjoy the great outdoors on your oversized front and back decks/wired for surround sound, above ground pool, 2 sheds and a 50x70 Shop pad w/utility access on 5 acres. This is a must see!